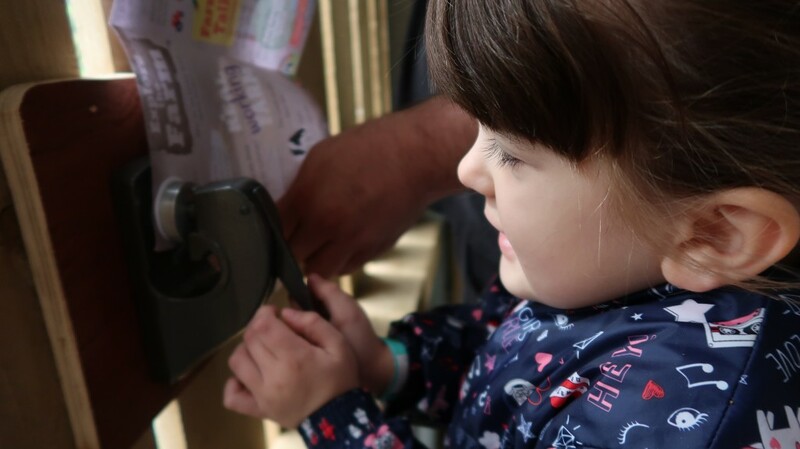 I’ve been meaning to write about our visit to Mrs Dowsons Farm Park from last Summer for ages. We won a competition for a family ticket and had such a lovely day. Seeing as Spring is the perfect time to visit a farm I thought I would share our experience with you. 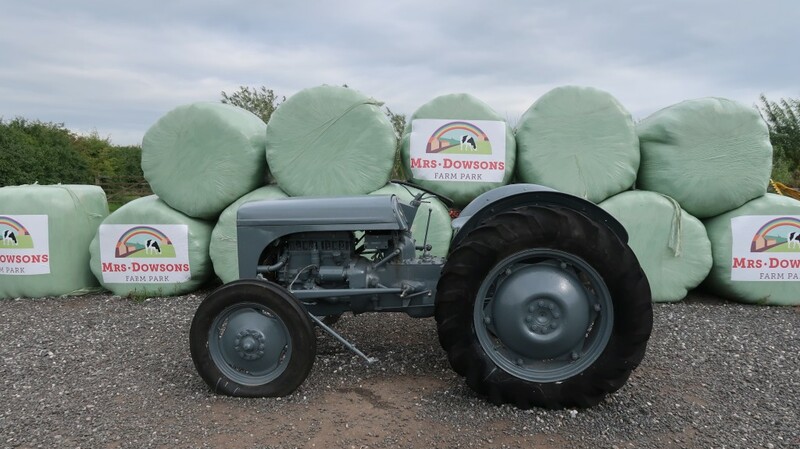 Mrs Dowsons Farm Park is a family run dairy farm in Blackburn, Lancashire. 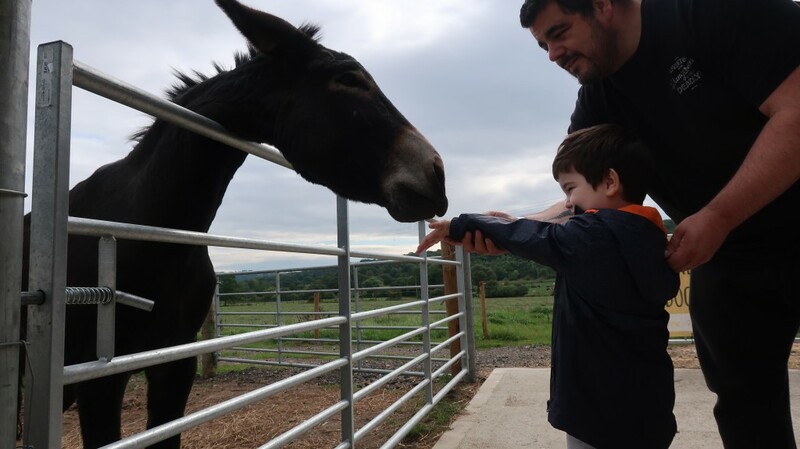 The farm is passionate about giving children and adults the opportunity to see, touch and even handle the animals, under handlers supervision. 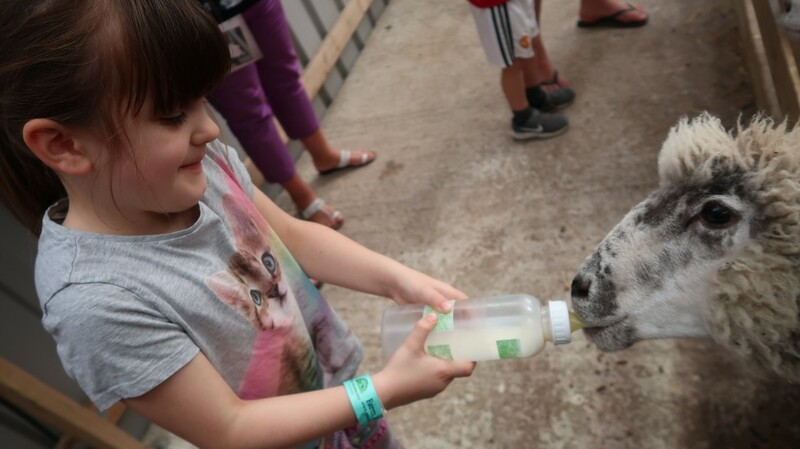 This is an amazing feature of the farm, kids learn so much more with a hands-on experience. The first thing I noticed about the farm park arriving was just how clean and tidy the grounds were. 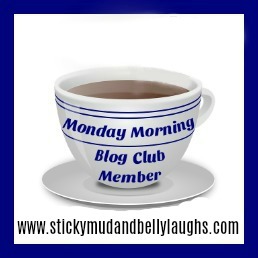 Once we got our wrist bands we checked out the daily timetable for talk and activity times. The farm guides give expert talks and tours throughout the day. 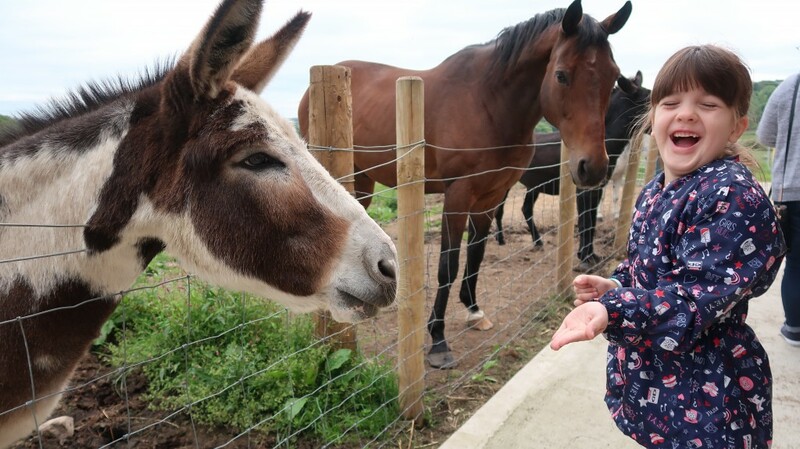 We started off by visiting the horses and donkey’s, Daisy loves horses and she was delighted by how friendly they were. One of the farm guides had a bucket of feed for the kids to feed the animals and he explained how to do this safely. There are stamp stations around the farm that you can use in the guides you get from the entrance. 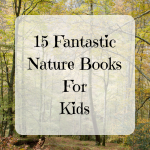 I think this is a lovely touch and the kids really enjoyed spotting them and using the stamps. We followed the farm guide around the pig and goat enclosures, the kids could take some more feed from his bucket to feed the animals. All of the animals we came across were super friendly and very happy to be petted and of course get a tasty treat. There are lots of other animals to see around the farm including emu’s and alpacas. I also came across a bee shed where you could watch a hive in action which was fascinating. Our favourite experience was feeding the calves after listening to the working farm talk. I think it’s so important for kids to understand the farming industry and where their food comes from. 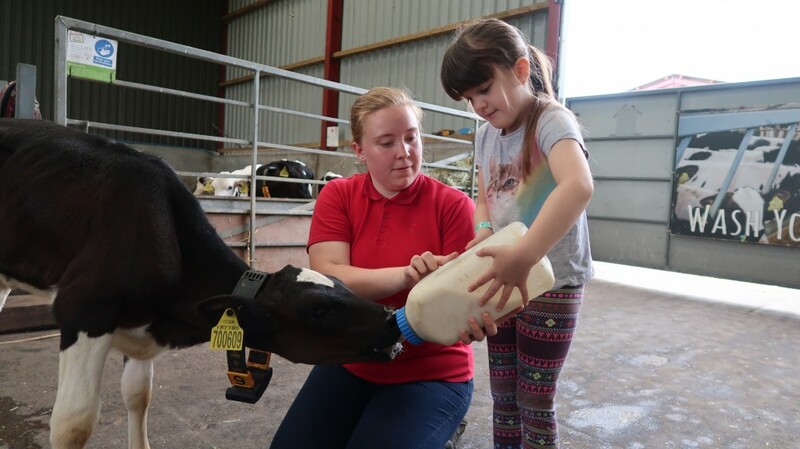 Visiting farms is not only a fun day out but an educational one too. 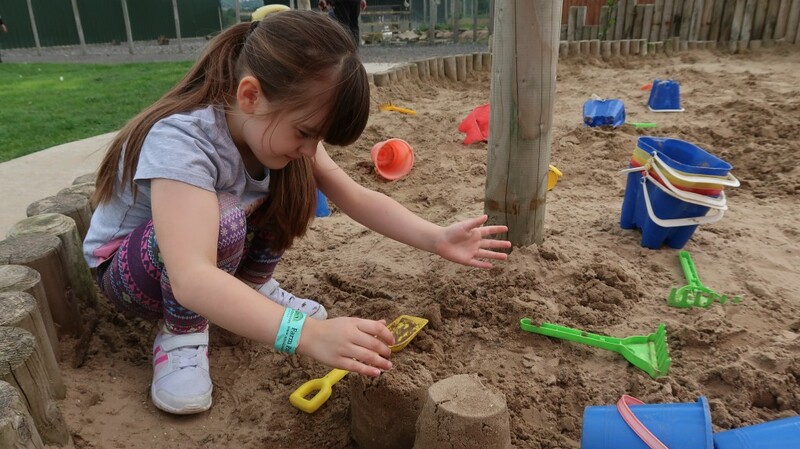 There’s a great play area for the kids including a huge sand pit that the kids spent ages playing in. 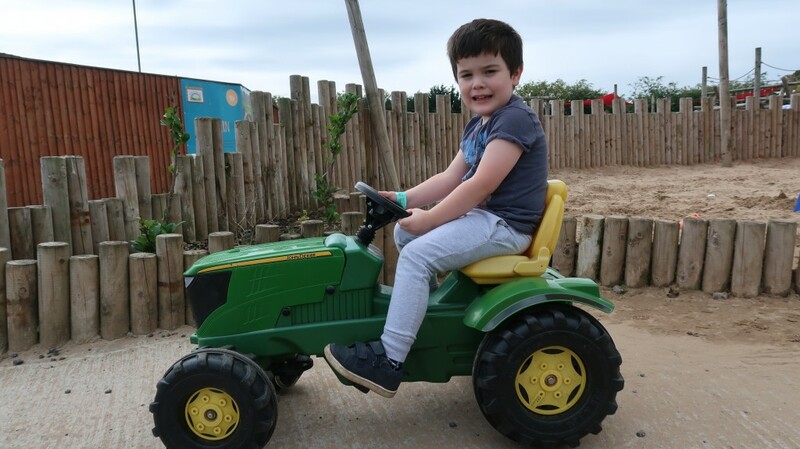 Jake was delighted to have a go on the ride on tractors, he would love one of these for our garden at home. Opposite the play area is a big green space with some picnic benches, the perfect place for a picnic. 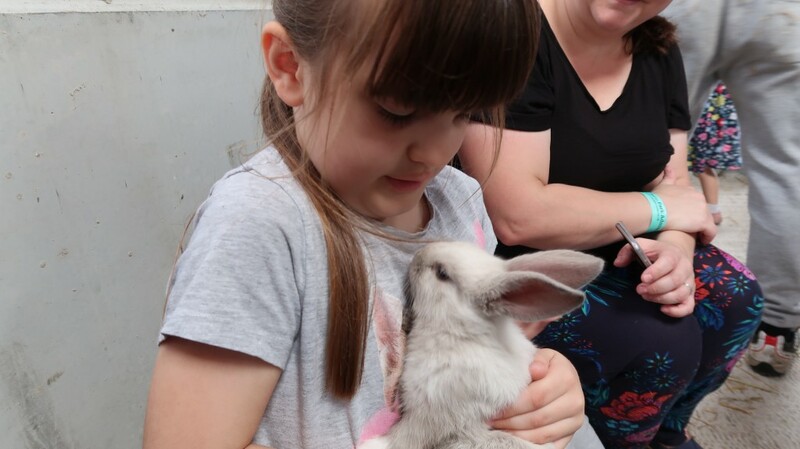 The kids had the opportunity to hold and pet some of the smaller animals in the barn. 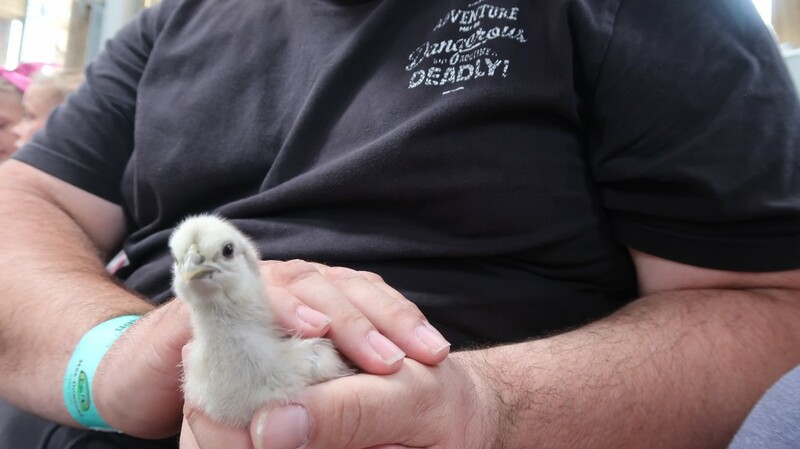 They were a little nervous of handling the chicks so daddy helped them out. 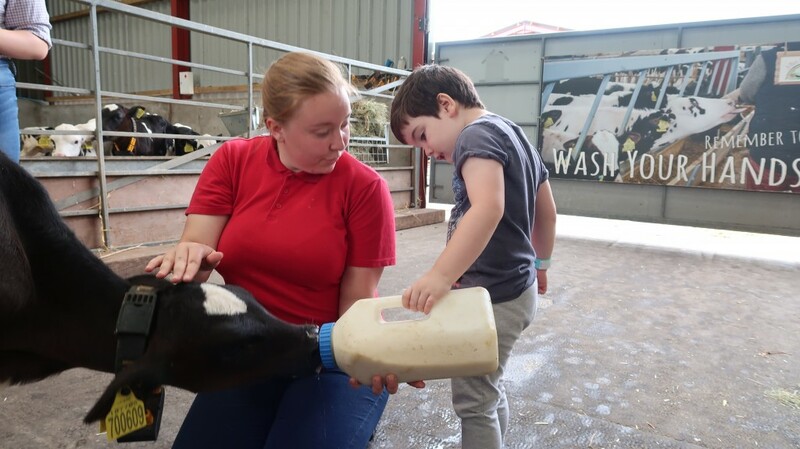 I was really impressed at how hands on the whole farm park is, everything is included in the cost of your ticket which is fantastic value considering admission is only £4.95 per person. We’ve been to a lot of working farms but this has been our favourite, not only is it great value for money it’s super friendly too. We had such a good time visiting Mrs Downsons, but we couldn’t leave without letting the kids sample the delicious looking homemade ice-cream. I think you can tell from the photo below that the ice-cream was an absolute hit. My niece and nephew would love this place. 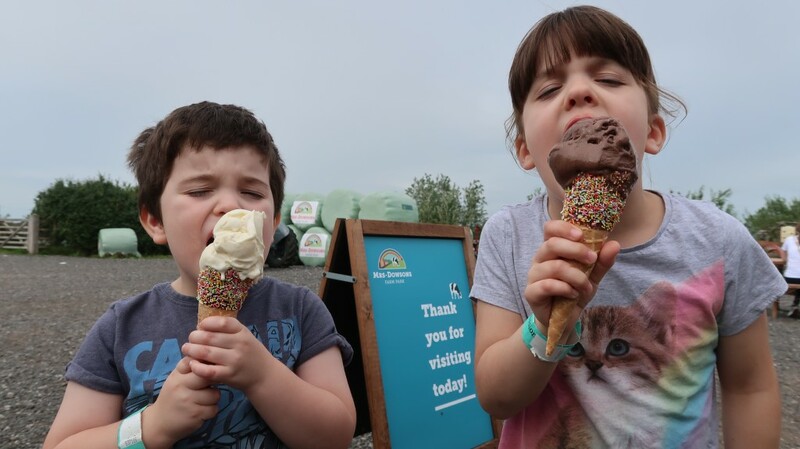 I took them to Borth Wild Animal Kingdom yesterday for a day out… Ice cream is always a bonus! Ahh! What a fun day out! 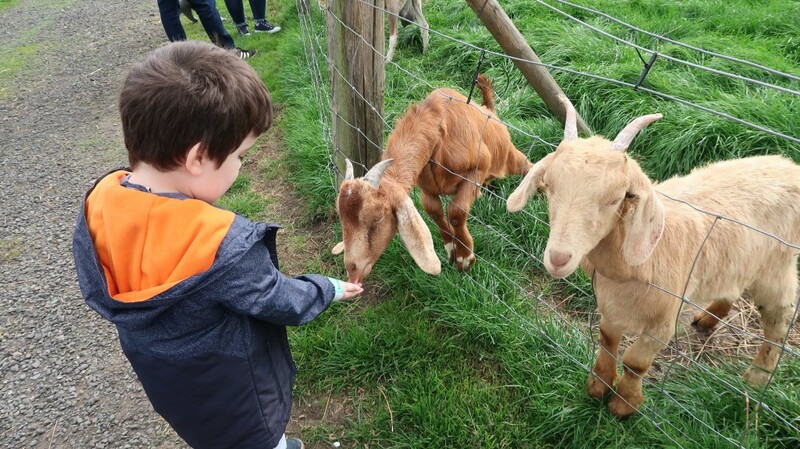 Feeding the animals looks like a great experience!